Sometimes more than one card had the same recipe on it. 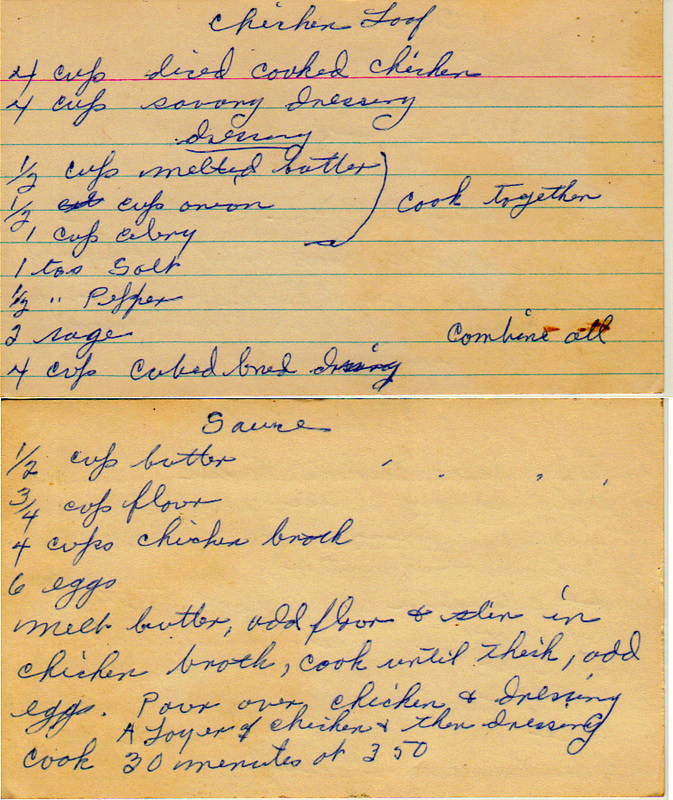 This is 2 of 2 cards with the recipe “chicken loaf.” The first is here. From the box of S.J. from Portland, Oregon. Melt butter, add flour and stir in chicken broth, cook until thick, add eggs. Pour over chicken and dressing. A layer of chicken and then dressing. Cook 30 minutes at 350 deg. With hard-boiled eggs and cheese.